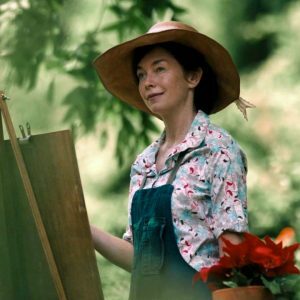 “Sophie Willis” (Julianne Nicholson) is not like the other women of the town of Salty Creek, South Carolina, and she has never cared what they think of her. The film opens with Sophie on the calm water in her boat. She is fishing for blue crabs to sell in town. Her confidence and comfort while on the water let us know that here, on the water, she is in her element. Throughout the course of the film there are many scenes that tie Sophie’s comfort and safety to water. While her weekdays are spent fishing for blue crabs, on the weekends, she returns to the same shores to paint landscapes with water colors. Then we meet “Grover Ohta” (Takashi Yamaguchi), and the theme of water as protection and comfort goes to a deeper level. Grover and Sophie develop feelings for one another, though neither will admit it at first. 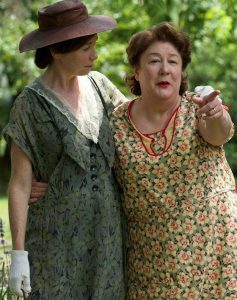 He joins her at the beach, where they paint side-by-side, and while he assists “Anne Morrison” (Margo Martindale) with her gardening -- a garden being, by definition, a combination of water and earth) -- Sophie paints Anne’s flowers. Unfortunately, tragedy strikes when the Japanese attack Pearl Harbor (depicted as a conflagration of water and fire). 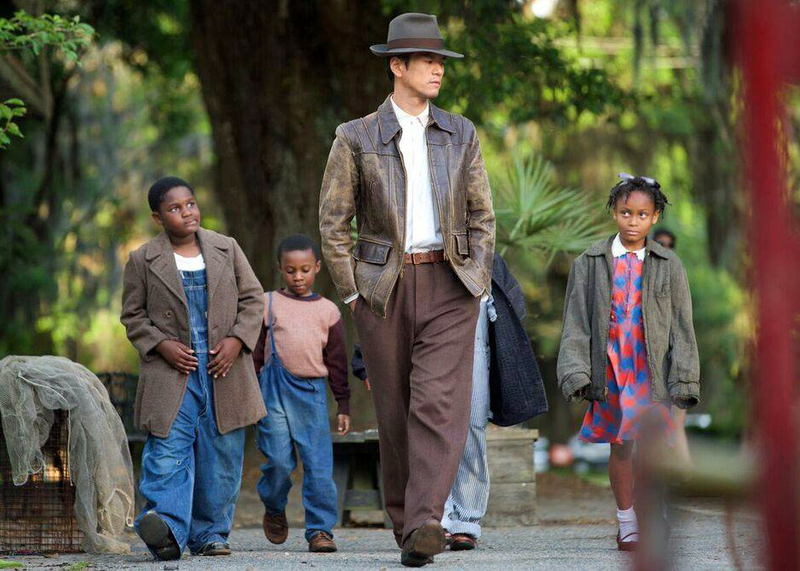 Grover’s life is suddenly in danger, and Anne sends him to stay in her father’s old fishing cabin. Meanwhile, she tells the people of the town that Grover has left and will never return. The fishing cabin represents safety for Grover, and provides a secure site for Grover and Sophie’s deepening relationship. In this literal safe space -- away from the judgmental eyes of their Salty Creek neighbors -- their relationship can finally bloom. The antagonist of the film is “Ruth Jeffers” (Diane Ladd), a God-fearing woman but also a local bully. We later learn that her cruel personality is a result of years of abuse from her alcoholic father (another combination of fire and water), who cheated on her mother -- primarily with black women -- and thereby shamed his family. Ruth saves all her tenderness for her son “John” (Bobby Henline), who was grievously wounded in World War One (badly burned and still incapacitated). After Sophie and Grover flee, putting Salty Creek far behind them, we see Grover gardening again. For a moment, water and earth seem to be in balance, however, as the camera slowly zooms out, we realize they are in an internment camp. As the camera continues to pull away, we see that the camp is in the middle of the desert (all earth but little water). The repeating theme of water -- or lack thereof -- as a metaphor for Sophie’s freedom (as well as Grover’s) is beautifully integrated into the film. It starts with imagery of the ocean when we see Sophie catching crabs, which then dwindles down to the stream by Anne’s father’s fishing cabin as their freedom inside the town of Salty Creek (!) is curtailed. Finally, once they are inside the barbed wire of the internment camp, their physical freedom is completely gone. They are completely surrounded by dry land. However, despite the sadness this imagery suggests, there is something uplifting about the ending of Sophie and the Rising Sun. They are together. They have escaped from Salty Creek. Grover is determined to cultivate his new garden. There are many twists and turns in the plot that could have ended in early death, but they survive, and they do so together. Every living thing needs water, and Sophie and Grover’s freedom lives on as they refuse to accept the racism of the town (and of the U.S. government). Water smooths the roughest stone, it always finds a way, and so do Sophie and Grover. 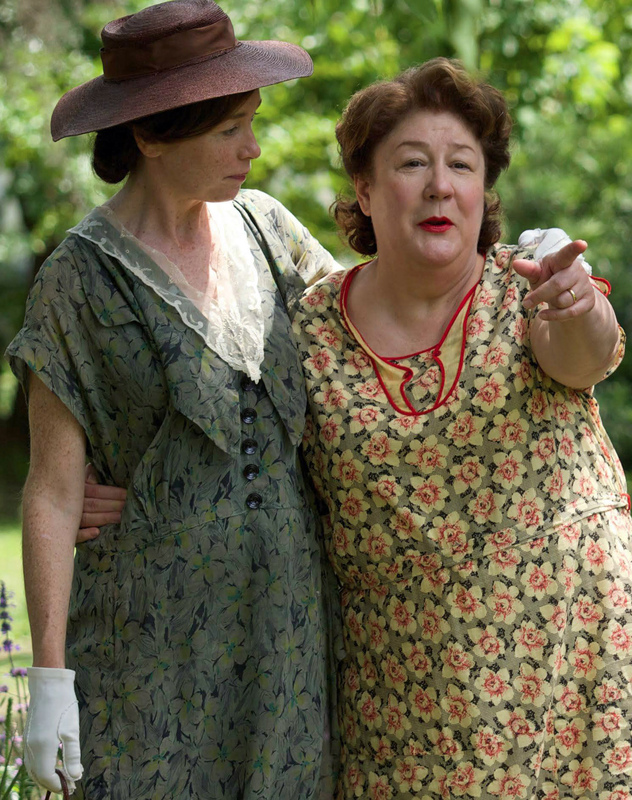 Top Photo: Sophie (Julianne Nicholson) with Anne (Margo Martindale). Middle Photo: Sophie at her easel. Bottom Photo: Grover (Takashi Yamaguchi) attracts the attention of local children who have never seen an Asian man before.